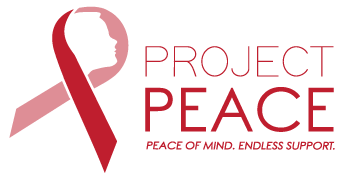 Click here to view past and upcoming events involving Project Peace or head and neck cancer. After I was diagnosed with stage IV Squamous Cell Carcinoma (throat cancer) and completed treatment Missy and I realized we were able to find “peace” in this chaotic, challenging time and never lost hope because of our support system. After beating Cancer, we decided we had to find a way to give back and created Project Peace.